I am working with a new service that has really gotten my attention and is search engine friendly. This is not SEO (Search Engine Optimization) but a revolutionary search engine placement service. They don't use Black Hat techniques. This is organic search listings where users are looking – not a paid-for pay-per click ad.. This program has been in development for 11 years. It is "SEARCH ENGINE PLACEMENT" They can put you on the front page of Google and Bing in less than 45 days in most cases and push your competition down the page. You don't pay a dime until they are successful with 1 organic listing and 3 keyword search terms..
(Google 83.33%, Yahoo 7.28%, Bing 3.52%, Baidu 3.46%, AOL 0.65%, ASK 0.61%) etc. Normally they would allow two outfitters in each area, BUT they offering exclusive placement for your business in cities and categories you choose. That means NONE of your competitors will appear in there services, which are found on the front page of the major search engines, like Google. Once you've partnered with us, we will not sell our services to another business like yours, to ensure your exclusivity. SEP - Search Engine Placement offers substantial savings over Cost-Per-Click (CPC) search engines (Google average AdWords pay-per-click advertising marketing campaign is $3.50 per click). In every category we are less expensive and there is no biding. This approach results in a simple easy to manage and cost effective marketing campaign that allows for fair competition, regardless of your budget. You can't be outbid! You also get incoming links to your web site which is a large part of ranking organically for your web site. You can get a rankings boost from these incoming links. Links will give you authority and lend to credibility for your web site. They guarantee that they can get your business on the front page of Google and/or Bing and they don't start billing you until there have 1 organic listing and 3 keyword search terms showing up in the results. In other words, they will put you on the front page of Google and Bing and you don't pay a dime until they are successful. How is that for pride in their services? Send me an email ron@confluence-is.net if you are interested in this exciting new program. Do it now before your competitors find out about this HOT new service and you get pushed down the page. Google's newest update is designed to get rid of spammy websites and businesses Google has identified as trying to beat the system. Google says it wants to promote high quality content and penalize webspam. There is something to be said for not putting all your SEO eggs in Google's basket. SEARCH ENGINE PLACEMENT is for a businesses strategy of looking for fresh alternatives. Optimize Inside of Google with organic ranking! Marketing, Search Engine Optimization and SEARCH ENGINE PLACEMENT go hand in hand for getting new clients. You must get them to your web site and once they are there you must tell them what you do, why you are different and better than your competition, and why they should go with you. We can help your web site grow and become "noticed" on the Internet. We will work with you at your pace, helping you understand what we are doing, and let you have "control" of your web site. Now that the company web site has become the hub of marketing you will get a high return on your SEO marketing investment. 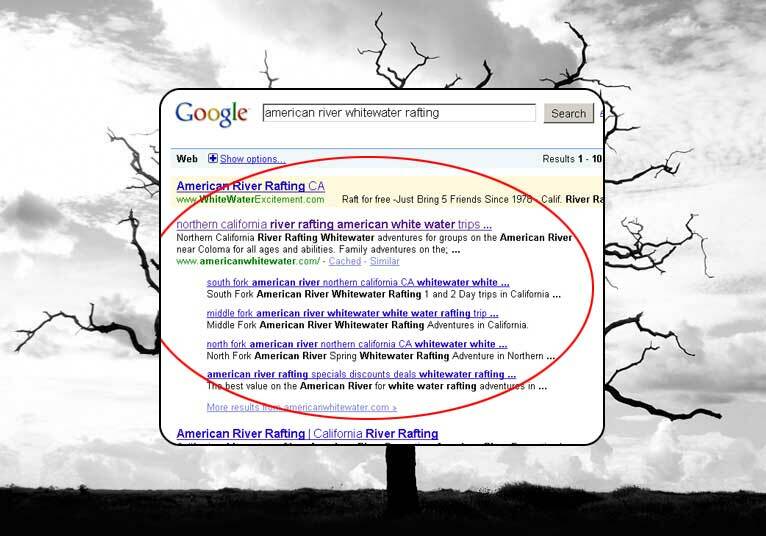 Better Google search results to help people find more of your web pages. Detailed reports to learn more about how Google directs traffic to your site. I knew search engine placement for natural organic rankings was important, but I had no idea the difference it would make for my business. Ron Hilbert of Confluence Internet Services did a fantastic job updating my website and the SEO has greatly increased my web traffic as well as my internet search engine ranking. I am getting 3 times the orders after the SEP work. Ron is very knowledgeable and was very patient in explaining everything to me. His work far exceeded what I thought my results might be. More traffic means more business and my investment spent doing this will definitely pay for itself in no time. Thanks so much for all your great work Ron! I love it!